You can get a great deal of carpet cleaning in Swiss Cottage (NW3) from Magic’s London carpet cleaners, at a fraction of the regular price! Looking for a professional crew of Swiss Cottage carpet cleaners? Magic Carpet Cleaning in Swiss Cottage (NW3) is here for you. We have a professional staff of highly trained carpet cleaners able to handle all tasks big and small, as we provide professional London carpet cleaning services. We use both steam cleaning and dry cleaning techniques to make your carpets look like new and cut back on allergens. Steam cleaning can be used on all of those big jobs to help disinfect your carpet, while the dry carpet treatment method involves hovering a powder up to help clean. Our crews also offer upholstery and rug cleaning. 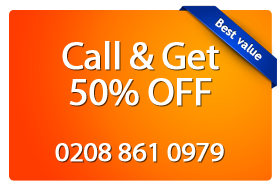 If you have a tough stain, call Magic Carpet Cleaning in Swiss Cottage (NW3) on 020 8861 0979. No need to waste precious time! You have found the right carpet and rug cleaning company in Swiss Cottage. We at Magic Carpet Cleaning offer you wide range of steam or dry treatment services for your home rugs or carpet. You can call us 24/7 on 020 8861 0979 to book our professional services. Our polite assistants will take your call and guide you through our booking process in no time. Just tell us what you need! You get a free price quote as well. In case you want to send us a message, please do so via our online contact form. Our support staff will get in touch with you as soon as possible.